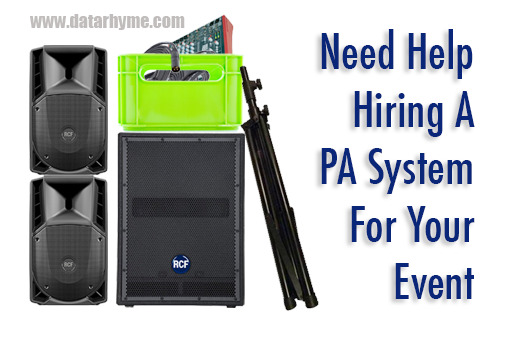 Do you need help hiring the correct PA system for your event? You’ve got no idea what you need. You confused by watts and woofers. Try our PA system selector below to provide you with easy to understanding information on the type of system you’ll need for your event. Select your event type – spoken word, background music, live performing, live band, party / dance. Then select the audience size and Click ‘Find A System’. Let us help you choose a PA system for your event. What is the event type? What is the audience size?